Attentive readers might wonder after reading the headline what the famous fifth symphony of Beethoven has to do with birding. Well, according to an anecdote the popular composer was inspired to this symphony by a small passerine with a weird melancholical song, which he had heard on a walk outside of Vienna: the Ortolan Bunting. And indeed, with a bit of fantasy you can still recognise the song of the latter in the main motive of the symphony. Now it should be evident what bird is featured here today. 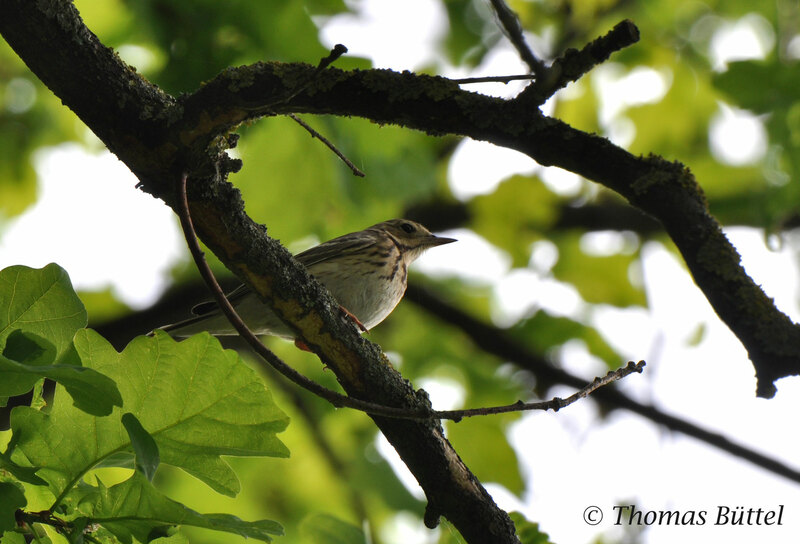 As long as I know that this species occurs in Franconia, I try to see it at least annually. 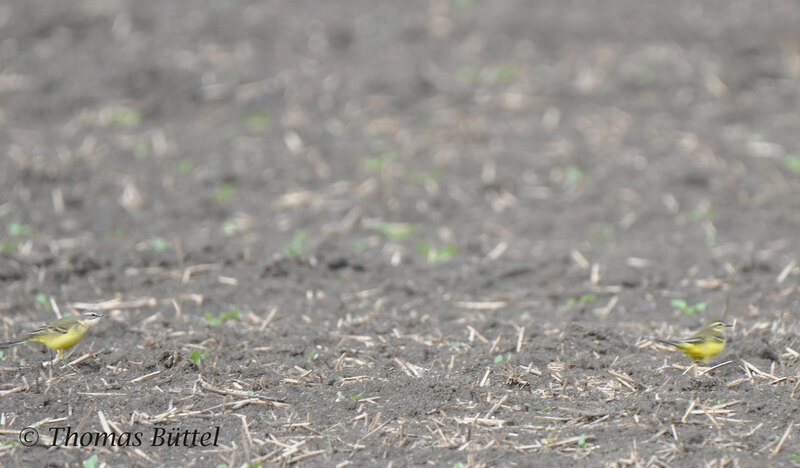 Normally, that's not the problem, since one or two individuals show usually up on the patch in the last week of April. 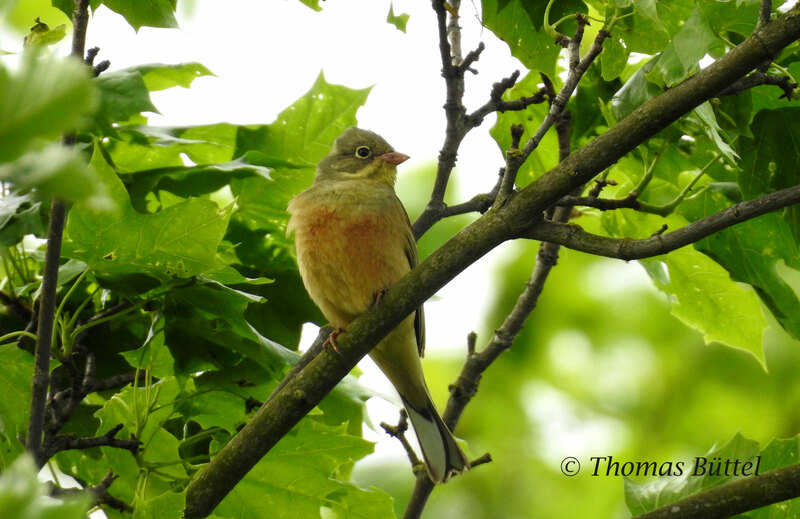 Well, just this year I wasn't successful and so there remained only the chance to connect with the Ortolan Bunting at its regular breeding grounds. In my case the closest are situated near the village Grettstadt, a 40-minutes-drive west of Bamberg. Basically, the situation for this species is critical in Central Europe. As the cultural landscape becomes more and more monotonous in the most parts of Europe, it declines rapidly. 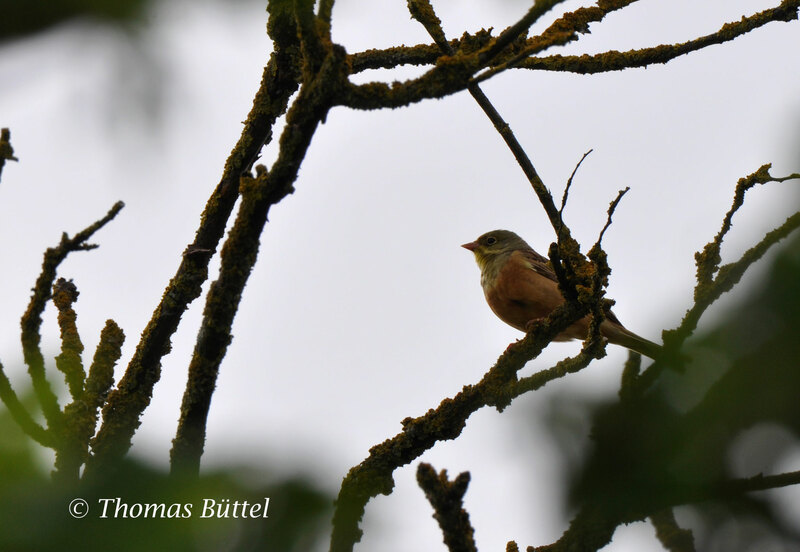 In the course of this process the Ortolan Bunting is now extinct almost everywhere in western and southern Germany, only the eastern provinces can still hold notable populations. Considering this background it seems as if the Ortolan Bunting would sing of its fate here in its melancholical song, its own Symphony of Fate so to say. Fortunately, Franconia takes a special position, because the eastern Main-triangle hosts an isolated though declining population of this species. 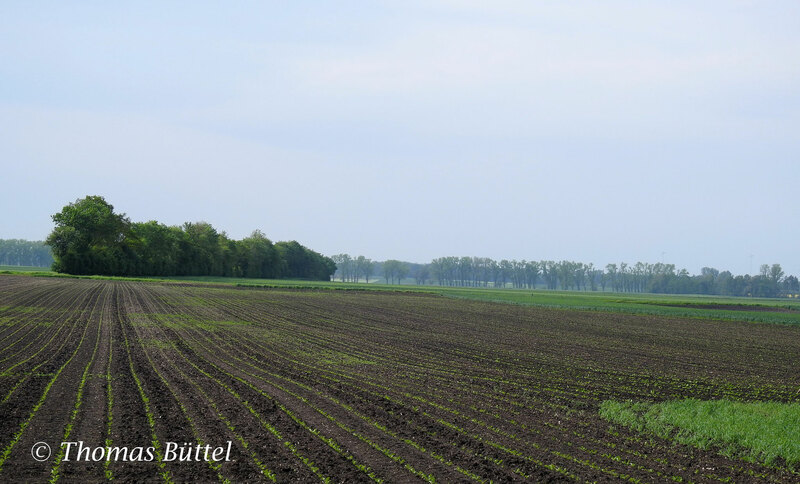 With 10 to 20 yet bravely staying singing males the cultural landscape south of Grettstadt is still one of the most reliable sites for it. So it took me no more than a couple of minutes until I found the first male singing on a tree. Naturally, it was just one of in sum seven singers. 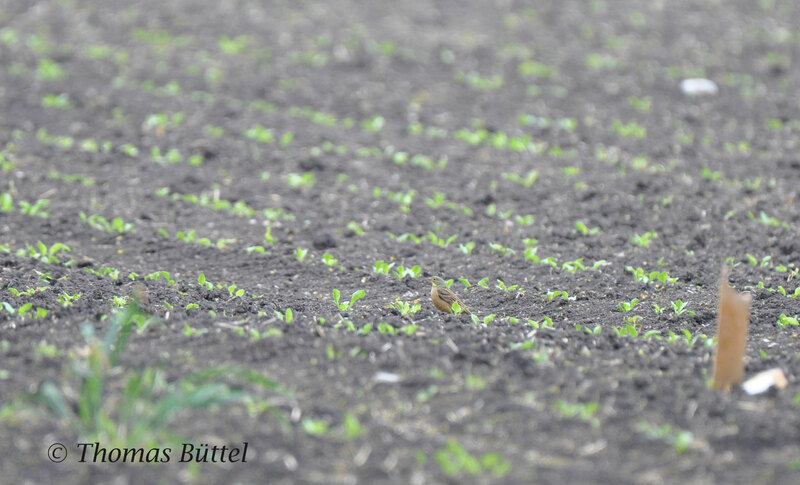 Hopefully, the weather won't be too wet in the next weeks so that they can successfully breed. 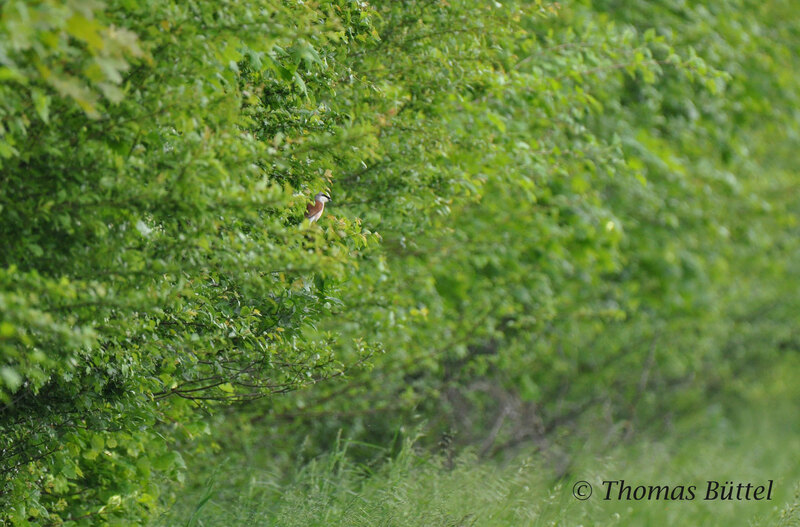 Of course, the site is not only good for Ortolan Buntings but also for Nightingales, Red-backed Shrikes and Tree Pipits. While, the first remained hidden in the vegetation the other two could reliably found with some individuals along the path. However, my hope to see my first Turtle Dove of the year was not fulfilled, perhaps it was too windy. 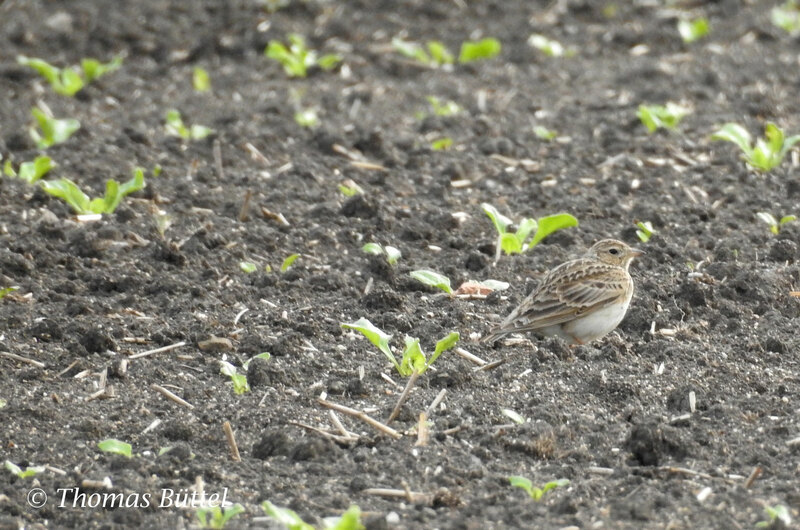 Nevertheless, also the fields were filled with dozens of birds: Skylarks are still numerous at this site as are Blue-headed Wagtails. After seeing on Tuesday my first Hobby of 2016 I got today my second one, although I think that it has only stayed here the night. 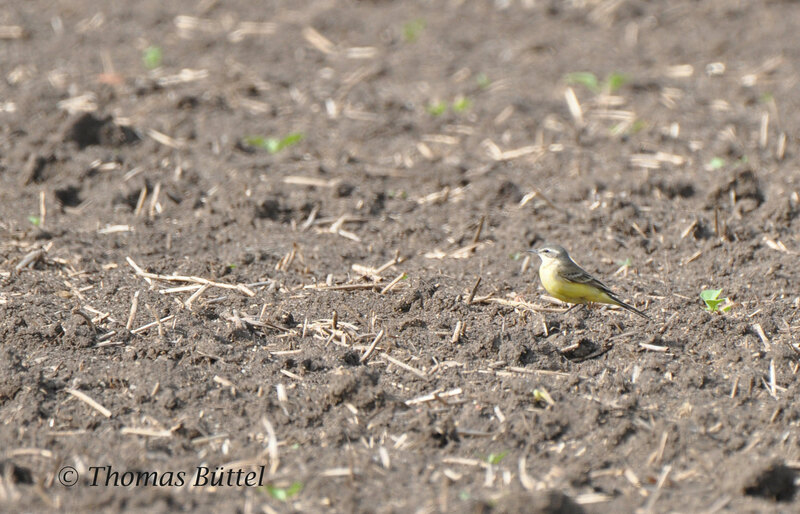 At a large field I detected a couple of Blue-headed Wagtails. 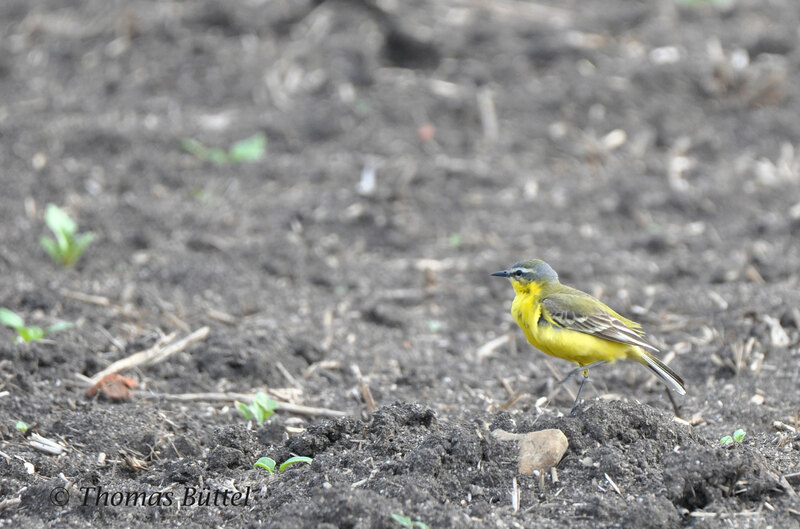 I'm not sure, if I need to add the quotation marks to the name, as until some years the Blue-headed Wagtail was part of the "Yellow Wagtail"-complex and not considered as a full species. Nevertheless, every year also representants of the other members of this complex show up here in Germany often causing major ID-problems. To be honest, I don't have much experience with this topic, but today I found a rather weird looking female (?) with a lot of yellow in the supercillium (last two pictures). 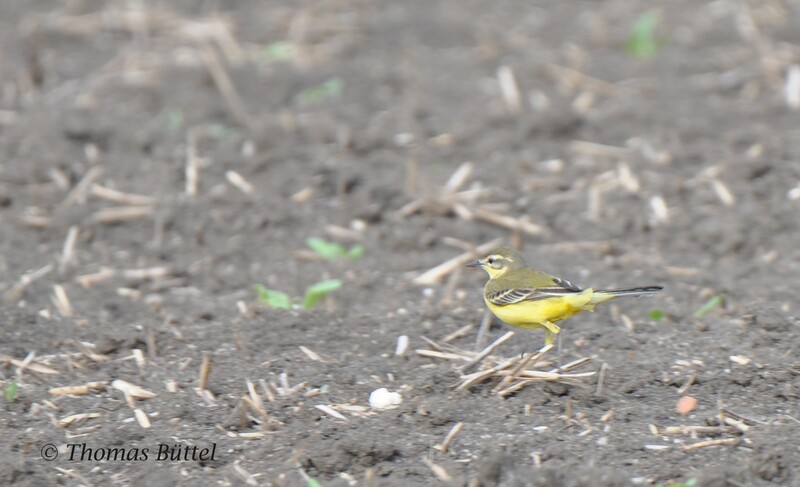 I know that this sometimes occurs at males, but still the contrast between a normal female Blue-headed Wagtail and this "mystery" Wagtail was huge. Perhaps someone can help.